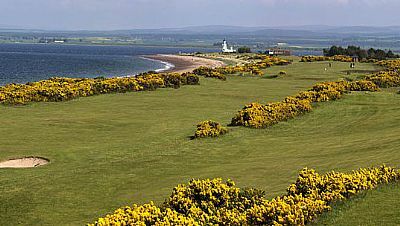 Located on the Chanonry Peninsula in the ‘Black Isle’ our Scottish links golf course enjoys breath taking views over the Moray Firth and is only 12 miles from the City of Inverness. Fortrose & Rosemarkie Golf Links is 15th Oldest Recorded Club in the World (1793). The course was later re-designed by the five time Open Champion James Braid in 1932. There is also documentary evidence of golf being played over 'Chanonry' which is now called Fortrose dating back to 1702. The evidence from 1702 was contained in a letter from a Mr George MacKenzie of Balconie, a cousin of the Earl of Seaforth and provost of Fortrose at that time. Writing to his Edinburgh law agent, he thanks him for sending him a club and golf balls but admits that as a farmer he should not really be playing golf at harvest time. He then excuses himself at succumbing to such sporting pleasure by adding the words ‘Oportet Vivre’ (Life is for living) – a philosophy followed by many golfers to this day! Playing on one of the finest links golf courses in Scotland is a must for your golfing calendar, especially as we are so close to other distinguished links in the area, such as Royal Dornoch, Castle Stuart and Nairn. The course has received accolades such as ‘a gem of a course by the sea’, ‘perhaps the best jewel in the highland golfing crown’ and ‘a unique course with special character to be found nowhere else’. The course is open all year round and we welcome golfers from all over the world to play on this fantastic links course which has hosted a number of national championships for Scottish Golf and will continue to do so in the years ahead with the Club scheduled to host the Scottish Boys Under-16s Open Amateur Stroke Play Championship in 2018. The greens are not just fast but also deceptive, with tight fairways and strategically placed bunkers throughout the course – the trademark of the all-time master of bunkering, James Braid. Whilst the course is playing to its full capacity, members, their guests and any golfers visiting our links can play from ANY of our Tees. The choice is your own so you can of course play from the Yellow, White or the new Black tees which will add to the experience of playing on a true Scottish Links Golf Course. 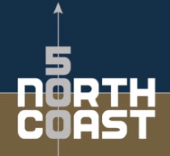 Click here to go to the club's website. Glen Ord Distillery : Located in Muir Of Ord and about 20 minutes drive from the club, Glen Ord offers interesting tours where the whisky making process may be followed. The shop sells the famous Singleton malt whisky - the only place in Britain where it can be bought. Chanonry Point : The Moray Firth is visible from most of the holes on the course and there is a good chance of seeing dolphins feeding and playing. Chanonry Point is at the end of the peninsula and offers parking and information boards. Urquhart Castle and Loch Ness : About a 30 mile drive from the club, the castle and the loch make for a memorable excursion. Near the castle is the Loch Ness Exhibition with information on the loch and the famous monster. Fort George : Built to pacify the Scottish Highlands in the aftermath of the Jacobite rising of 1745. The fortification is based on a Star design, it remains virtually unaltered and nowadays is open to visitors with exhibits and recreations showing use at different periods, while still serving as an army barrack. Highland Free Spirits : Specialising in exclusive days out on Loch Ness and the Caledonian Canal in a beautiful Sealine F34 Motor Cruiser. Woodwinters Wines and Whiskies : Whisky tasting at the shop in Inverness or a location of your choice. The Penta Hotel in Inverness : City centre location on Academy Street - a perfect base for a perfect stay in the capital of the Scottish Highlands. Kingsmills Hotel in Inverness : A luxury hotel adjacent to Inverness Golf Club.